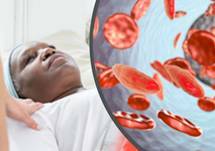 Sponsored Editorial: Sickle Cell Disease: How Should YOU Reassess Management & Treatment? Announcer: This is ReachMD. Welcome to this special series, Changing the Conversation about Sickle Cell Disease sponsored by Pfizer. Here is your host Dr. Matt Birnholz. Dr. Birnholz: With sickle cell disease affecting close to 100,000 Americans, it is no wonder that more and more research is being dedicated to understanding this complex disorder. But what exactly has been uncovered, and how does that guide our therapeutic approaches moving forward? 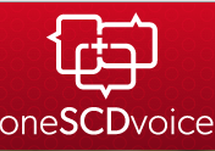 Welcome to Changing the Conversation About Sickle Cell Disease. I’m Dr. Matt Birnholz and joining me to discuss the latest updates in our understanding of sickle cell pathophysiology and treatment is Dr. Jason Wilson, Assistant Professor and Director of Clinical Research in the Division of Emergency Medicine at University of South Florida. Dr. Wilson, welcome to the program. Dr. Wilson: Thanks, I really appreciate being here. Dr. Birnholz: It’s great to have you with us. So, to get us started can you give us a quick primer on how sickle disease is traditionally portrayed from a pathophysiology perspective? Dr. Wilson: Sickle cell disease results in a genetic disorder; you have a hemoglobin SS that affects hemoglobin, which is the protein that carries oxygen to round red blood cells and because of that, you get an abnormally shaped red blood cell. Without access to medical care, humans with sickle cell disease live much shorter lives than those without disease or even those with heterozygous trait. Patients eventually experience some pretty unfortunate emergent conditions, usually during an acute crisis in which large volumes of sickle cells kind of clump together, block vasculature and lead to organ damage or even organ infarct. Most patients with sickle cell disease undergo vascular necrosis secondary to decreased delivery of oxygenated blood, so they get pain from vaso-occlusive crisis and from these other chronic things like avascular necrosis. Unfortunately, even when these patients do not have an emergent medical condition, patients with sickle cell disease tend to suffer from daily, small micro-occlusion events in the venous system. It may be less threatening to end organs and may be less threatening to their overall mortality, but it can still cause pain from disruption and normal blood return. Dr. Birnholz: Thank you Dr. Wilson, that was an excellent run down of how we perceive the disease pathophysiologically. What about any new insights about this disorder that may be changing the way we think about its development and progression throughout a patient’s life? Dr. Wilson: Sure. One of the great things we see in developed countries is that patients who have access to medical care do have long adult lives, even meeting ages around 60 years old now, but the first and foremost cornerstone of sickle cell disease approach and management still lies in infection prevention and pain management being the key strategies and those have not changed. While all sickle cell disease patients will have a concomitant anemia and a baseline of low hemoglobin concentration, we really try to conserve transfusions to those patients who are in a hemolytic crisis, usually during a sequestration event when they present with things like acute chest or other shocked states. Most sickle cell disease patients will receive multiple red blood cell transfusions over their life and the adverse effects of all those transfusions are weighed against the benefits. As these patients survive more and more into adulthood, they have likely suffered splenic infarct already and likely have a chronic avascular necrosis, chronic hip pain, joint pain and even repeated small strokes and small cerebellar vascular events and then those patients require daily pain control just to get through daily activities of life. With appropriate analgesia, we can try to control that baseline suffering and compensate with more analgesia during acute crisis. In the past, we kind of thought about objective criteria – the reticulocyte count, the heart rate or we would evaluate the level of pain in the ED among sickle cell disease patients, but now we know that those objective criteria do not correspond well at all to the patient’s pain level when they have lived with that kind of pain for much of their life. Dr. Birnholz: Why don’t we then translate that into the signs and symptoms that we are looking for when patients with sickle cell disease present to the emergency department in the absence of having truly representative or reliable objective criteria? Dr. Wilson: Right, that is a great question and it is critical for where we are right now in this major paradigm shift in the management of sickle cell disease patients. While the first thing we should still do any time, a patient comes into the emergency department, we should always think about the heights of emergent medical conditions that patient has based on the probability of disease given their other diseases. So every sickle cell disease patient, every time they walk into an ED has a risk for acute chest syndrome, splenic sequestration, hemolytic crisis, infection shock because of that underlying immunocompromise, but once we rule that out, we have to focus on the fact that by probability alone the patient is probably there because of pain, but I think the key out of this is that we now know that while laboratory values correlate very well to things like hemolytic crisis, laboratory values do not correlate very well to pain crises. And one of the complicating pieces of all this is that a sickle cell disease patient who has lived into adulthood is going to develop a very complex pain syndrome because of their life-long pain and so what we really learned is that the only validated sign or symptom of a patient’s pain level is the patient’s subjective own assessment of their pain. Dr. Birnholz: So, I think I’m getting a sense of where we are going with this then, but if patients – one sickle cell patient to the next comes into your emergency department and shows very similar signs and symptoms that they are presenting to you, I take it that that does not necessarily translate into having similar or even identical experiences of their pain. Dr. Wilson: Yes, that is exactly right. You know, one patient can look very, very comfortable with a high degree of pain and another patient may report the same thing. It is the same with the visual analog scale, you know, a patient may report a seven or a five, but we do not know the patient’s past or have seen what their other reports have been, so it is very difficult to get at what that means to that patient. Every patient with sickle cell disease is different. Some of these patients you look at, the life cycle of their disease and their medical history, they have been able to manage their vaso-occlusive crisis with very little analgesia while other patients require very high doses of opioids from early, even adolescent or younger age; so, we know that all patients, whether or not they have sickle cell disease or not, have really different responses to pain and pain management. That is not that surprising if we really think about it, and we certainly know that patients with complex pain syndromes have some very different subjective and objective responses to pain. Most sickle cell disease patients that have survived adolescence or further, they have really established a rhythm to the management of their disease and they know their medication needs and I think we have to hear their subjective assessments to understand what they need. Dr. Birnholz: Let’s stay with pain management since that is often the first and foremost complaint brought into your ED. What steps do you take to address a patient’s pain in this setting? Dr. Wilson: Well, for most ER doctors and other people working in emergency departments that see a lot of sickle cell disease patients, this will be the most complex type of pain management population that we deal with. We joined a National Sickle Cell Disease Quality Initiative about a year and a half ago and what we do is we share best practices with other emergency departments on a monthly basis that see high volumes of sickle cell disease patients. What we have learned, which is a little surprising and a little counterintuitive I think to all of us, is that the quicker we can provide the first dose of pain medication at the appropriate level, the less likely that patient is to require admission to the hospital secondary to ongoing pain. We tried something I think that has really worked very well for us. About two years ago, we started to really think about these patients as complex pain medicine patients who needed some aggressive pain control and we established a patient-controlled analgesia program or a PCA, which essentially enables patients to dose themselves with pain medication at predetermined levels, while the entire time they are in the ED they are receiving a continuous infusion at baseline. The utilization of these PCAs has led us to having a pretty standard program across sickle cell disease patients where we do not have to guess what the patient is thinking; they do not have to guess what they are going to get, and everybody knows they are going to get a continuous infusion. The education of just setting up the PCA itself is like an education about sickle cell disease for our nurses and providers and an increased awareness of just how painful this syndrome is and just how significant the disease can be. So, while it is a little counterintuitive at first, those larger doses of pain medicines and that more continuous, steady state of levels of analgesia actually allowed us to decrease our admission rate for sickle cell disease patients by about 10 percentage points, meaning that again, that patient likely receives less opioids and requires less pain medicine to resolve their acute pain crisis because we avoid that admission. Dr. Birnholz: I imagine alongside that trend towards standardized quality care protocols for pain management, your teams are also looking into standardizing a process for getting tests to make sure that nothing hidden may be going on behind the pain crisis itself. Is that correct? Dr. Wilson: That is correct. Our first duty in the emergency department is always to go back thinking about what can hurt the patient now, what can kill the patient now and thinking through those emergent medical conditions; so, all of our patients with sickle cell disease are treated very seriously, given the probability of a significant disease. The scoring system we use that predicts resources in the emergency department called an EIS level - one is you are essentially a code; five means you are there for a medication refill of your high blood pressure medicine. Most patients are a three and kind of in between. We determined a while ago that all of our sickle cell disease patients would get a two, which put them back in front of a provider much quicker and allows us to evaluate them with medical screens much more rapidly. During that, we try to rule out emergent conditions. Given that, we simply have a lab protocol for all these patients and all of them are going to have their hemoglobin tested. Fortunately, we have, with our population, hemoglobin usually from the past so we can compare the current hemoglobin to things like sequestration crisis or acute hemolytic anemia that is worsening. We get a reticulocyte count on all of these patients, and then if there is chest pain or a difference in chest pain or anything that seems abnormal there, we are aggressive about getting chest radiography and electrocardiograms in those patients with chest pain. Fortunately, most of our patients have been to us before and we know some of our sickle cell disease patients and we now have our standardized orders and we also take what they say very seriously. If anything seems different than usual, we become more aggressive in our ordering more quickly. Dr. Birnholz: Maybe we can hone in on that a little bit more, because you mentioned the idea of physiological dependence and pain syndromes that develop with these patients as physiological consequences to requiring those high-dose pain management protocols over long periods of time and even lifetimes for these patients. Can you talk to us a little bit about that in more detail? Dr. Wilson: Sure. My residents, my students I work with, often are surprised at how aggressive I am with these patients and they worry that, well what if a patient is drug seeking or what if the patient is not having a vaso-occlusive crisis and they are really here just because they have a dependence on drugs, and I sort of usually point at them and they have a light cup of a green little mermaid picture on it and they have to have that before they come into work; you know, they have their coffee and I have my allergy medicine. I have allergic rhinitis and I have to have that before I go to work plus my coffee or caffeine of some sort and I point out that we all have some physiological dependence on some drug, but the existence of that physiological dependence on drugs does not necessarily mean that there is a devious or manipulative reason or consequential meaning behind that. A patient develops a complex pain syndrome and physiological dependence and that becomes kind of wrapped up in the overall disease itself and I think we do a disservice to ourselves and we kind of spend too much time, at least in the past, spent too much time trying to sort out, “Is this a vaso-occlusive crisis?”, “Is there objective evidence of this being a vaso-occlusive crisis?”, or “Are they just in pain or do they just have a dependence on pain medication?” I think we can take it at face value, especially the patients we know well. Dr. Birnholz:I love your analogy there. I wanted to, as my last question to you, get a sense of whether there are any current or future research directions in sickle cell treatment that you are particularly excited about for helping advance some of these perspectives that we talked about today. Dr. Wilson: I think the protection against infection and immune protection remains our cornerstone along with pain medication and analgesia, the current treatment – I think part of what my role here is and part of what I try to educate for sickle cell about is really just establishing those two things right now because the paradigm for so long, we have not really had any other breakthrough, novel therapeutics. There really was not too much coming through with a different take or different perspective within our pathway in managing the disease, but I will say that one of the bright lights and the promising things that we are kind of starting to see some signals from is an area where medication attempts to prevent clumping and prevent even the vaso-occlusive crisis from happening. So, while those therapeutic techniques are still very early in their research stages, I think I am starting to see some promising signals from that data regarding decreases in opioid utilization and decreases of the acute frequency of a vaso-occlusive crisis, which means that patients have to be in the ER less and spend less days in the hospital, and fewer days of their life waiting for us to give pain medication. So, to actually see something show up in the landscape that is a little bit different and has a preventative role essentially in vaso-occlusive crisis is a really exciting place to be right now and I am really hopeful to see where that avenue takes us. Dr. Birnholz: Those are definitely exciting insights into the latest development in sickle cell disease research and treatment. Dr. Wilson, it was great having you on the program today. Thanks again for joining us. Dr. Wilson: I had a great time. I love talking about this stuff and I love to see our sickle cell disease patients get the best care possible. Announcer: The preceding program was sponsored by Pfizer is ReachMD. To revisit any part of this discussion and to access other episodes in this series, visit ReachMD.com/SickleCellConversations. Thank you for listening. Here’s how a new trend in sickle cell disease management aims to better address the first and foremost complaint brought into emergency departments. 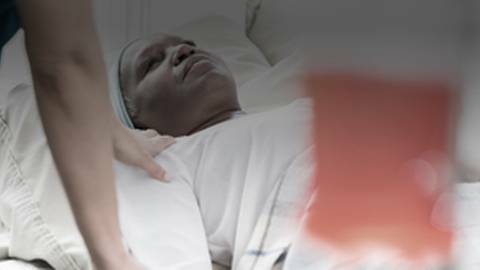 Thanks to recent insights into how sickle cell disease develops throughout a patient’s lifetime, therapeutic approaches are now shifting. To dive deeper into these findings, Dr. Matt Birnholz is joined by Dr. Jason Wilson, Assistant Professor and Director of Clinical Research in the Division of Emergency Medicine at University of South Florida. Content for this non-certified educational series is produced and controlled by ReachMD. This series is intended for health care professionals only. 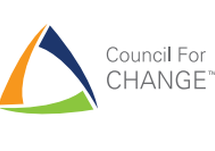 Click here to view the “Council for Change Report”: Improving Vaso-Occlusive Crisis (VOC) Management for Those Living With Sickle Cell Disease. A Pfizer supported multi-functional collaboration with the SCD Experts.